Polished nickel was the finish of choice on plumbing hardware prior to about 1925. It is also one of the more popular finishes on plumbing hardware today because of the warmer tones as compared with chrome. 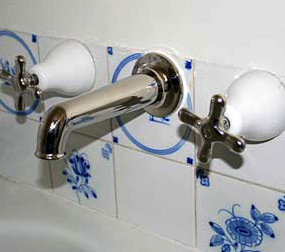 We often are asked to identify and match historic finishes on anything from a trip lever to a large rain shower head. We look forward to assisting you with your project and you can be assured our finishing quality is second to none.